Akrasia (2015) Text with images. The School of the Event Horizon aka SOTEH (Steve Ounanian, Kate Pickering and Emily Rosamond) were invited to contribute to the sixth edition of EROS journal, on the theme of Homotopia, or place-of-the-same. A collaborative text entitled Akrasia was produced, in which the consciousness of a luxury housing development at Aldgate East is explored. 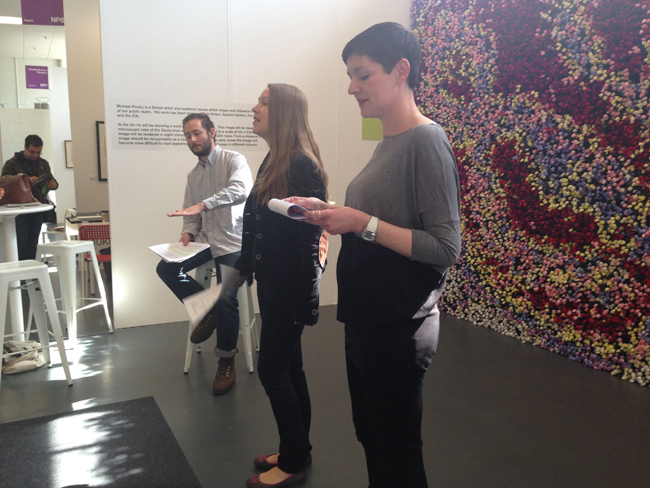 Additionally, SOTEH performed Akrasia at Art15 art fair and Tenderbooks for the launch of the Homotopia edition. Image (left): Akrasia (detail - link to full text). 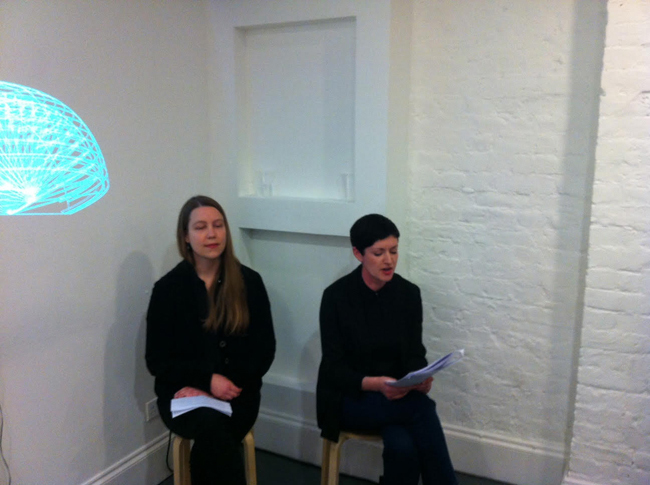 Images (right): Readings at Art15 (London) and Tenderbooks (London). Images: Courtesy Charlotte Warne Thomas and Sami Jalili.